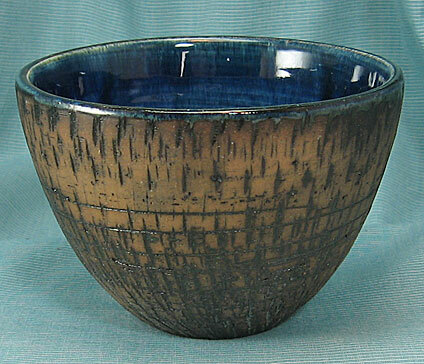 This nicely made bowl was made at Etelhem pottery on the Swedish island of Gotland. 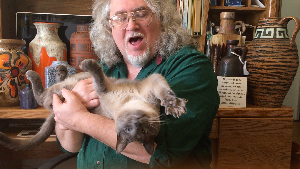 I've seen one suggestion attributing a matching style to Erik Annervik, but there was no confirmation. 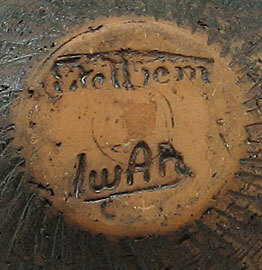 I've also been told that "Iwan" is an acronym from the artist's name but no confirmation or additional information. 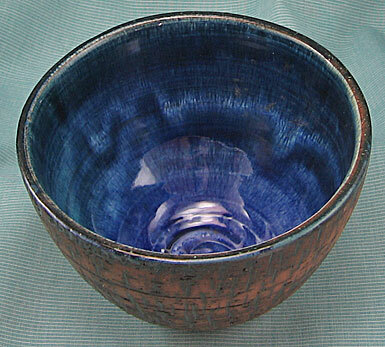 At any rate, it's hand thrown with a bark or cork-like exterior and a varied cobalt glaze on the inside. Size: Height is about 3". Price: $45 plus shipping and insurance.